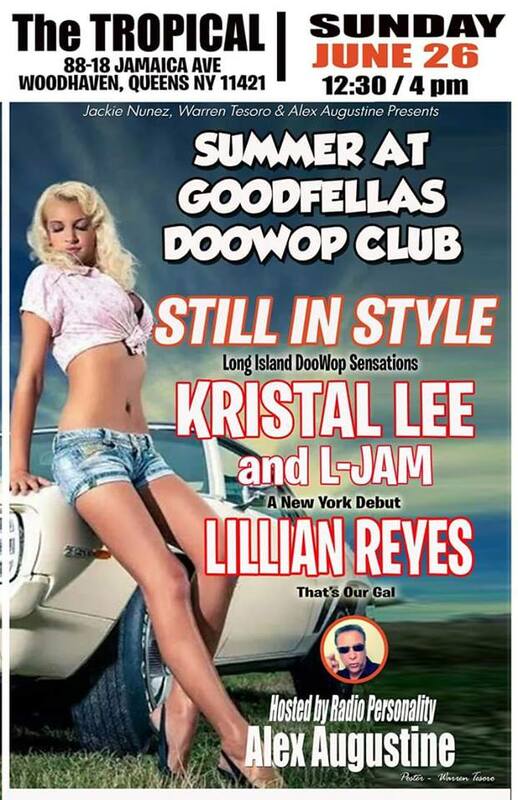 This month the Goodfellas Doo Wop Club will feature the group Still In Style, Kristal Lee and L-Jam and Lillian Reves. Hosted by Alex Augustine. Takes place Sunday June 26 from 12:30 to 4 PM at the Tropical, 88-18 Jamaica Ave., Woodhaven, Queens, NY. See flyer for details.